Below is the 2017 Perpetual Folly Literary Magazine Ranking for Non-Fiction. Go here to read about the methodology. If you find the list useful, consider making a donation. Hello. I’m not sure if ranking #103 for “PMS” is meant to be the journal poemmemoirstory out of the University of Alabama at Birmingham, but if it is, the journal has been renamed NELLE and the link is here: https://www.uab.edu/cas/englishpublications/nelle . Hello, I was wondering if you could do a similar list but for literary magazines based in the UK or in Europe? 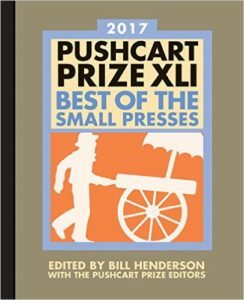 I’m not sufficiently familiar with European magazines to rank them, and I’m not aware of anything similar to the Pushcart Prize anthology for those magazines. Note that there are a few UK-based magazines included in these rankings. Why name the list “Perpetual Folly Literary Magazine Rankings”? Perpetual Folly has been the name of my blog for many, many years, and is an ironic biblical reference.